Finding a neighborhood that fits you perfectly in any city isn’t easy. Your needs are unique and lots of places can feel like just the same old thing. Thankfully, from your first home to your forever home, there's more options in Aurora’s livable, lovable neighborhoods than you might think. Smart homebuyers know that with access to schools that excel, amazing local restaurants, a vibrant cultural scene, miles of trails, exceptional public safety and city services coupled with outstanding home values, it just makes sense that Aurora's a great place to call home. Curious about the location of your neighborhood? Check out the full map here. Northwest Aurora lets you stay connected to both downtown Denver and Denver International Airport (DIA), yet still finds a way to retain the unique and diverse feel that its residents love. You can find a range of unique areas in this section of Aurora from rural pockets to the urban feeling that accompanies places like the Stanley Marketplace, Anschutz Medical Campus and the Aurora Cultural Arts District. Houses here are charming and full of character for homebuyers. 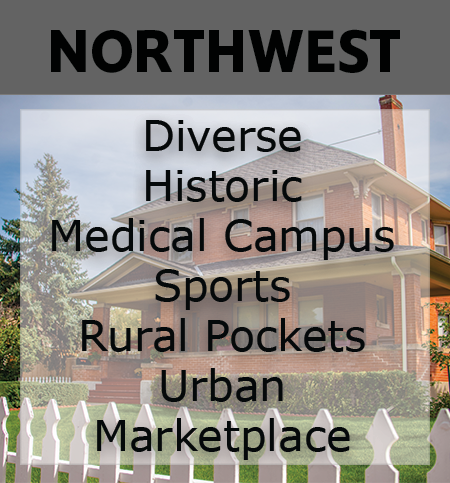 Full of history, diversity and culture, Northwest Aurora is a great place to live, love, work and play. Go explore this part of Aurora and discover what it is that makes Aurora so special. This developing section of Aurora is headed toward being a buzzing area of activity. With its proximity to DIA and the addition of the Gaylord Rockies Resort and Convention Center, this part of town will soon be a must-see spot for newcomers, visitors and residents. Thankfully, Northeast Aurora provides a perfect gateway to the rest of Colorado thanks to its accessibility to I-70 and connection to the RTD rail line. 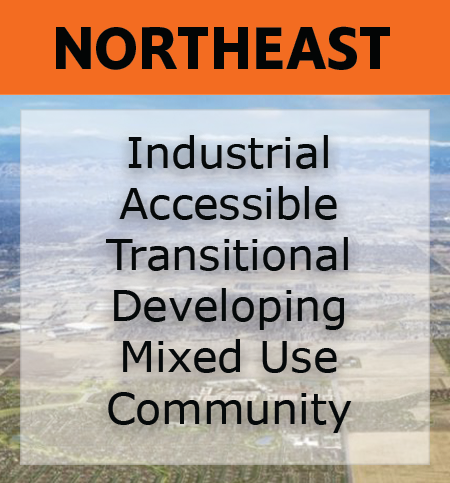 With much industrial development already in place in Northeast Aurora, the focus has been slowly shifting on the transition into mixed-use development. It's safe to say that, in a few years time, we may see a much different area here from what it is today. At the heart of Aurora, Central West offers you nothing less than everything. When you're here, almost everything in town is mere minutes away, by car, light rail, biking or walking. Filled with character, history and diversity, this part of the city can help you understand what it is that makes Aurora so special. From parks to golf courses and miles of trails, it's an advantage to have lots of open space to play all within the city. You can find many local, independent restaurants with something new to try all the time. 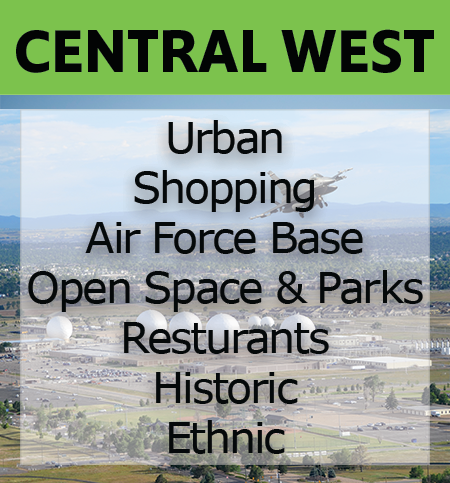 And central west if filled with opportunity as it finds itself right next to Buckley Air Force Base, as well as many of Colorado's other major employers in Aurora. 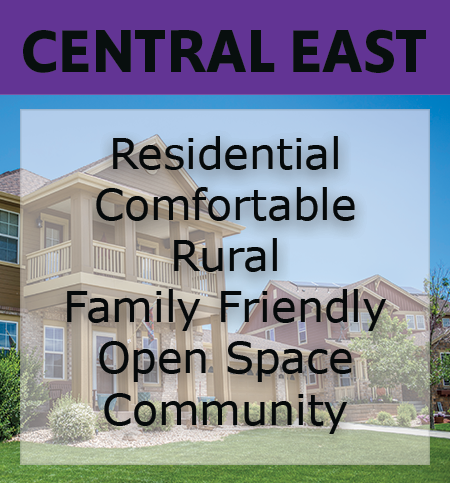 If you're looking for a more open residential experience, then look no further than Central East Aurora. Out here you are far enough from the middle of the city to provide a peaceful rural experience, but with close access to E-470 and DIA you are not so far that it's a hassle to get to town. The new neighborhoods here are incredibly family friendly and have a welcoming sense of community. Creeks, trails and lots of open spaces are only some of what makes Central East so comfortable and livable. Southwest Aurora is well known for its outdoor recreational activities. With the beautiful reservoirs, golf courses, trails, and parks, Aurora is perfect for finding various family and outdoor activities. The vibrancy of Colorado's greenery and nature can really be encapsulated by the outdoor spaces in this part of Aurora. The surrounding area offers a variety of shopping options and fantastic dining experiences. You could take your family to the southwest for a full day and not run out of things to do. And with comfortable neighborhoods, southwest Aurora gives you the feeling of living the American dream. 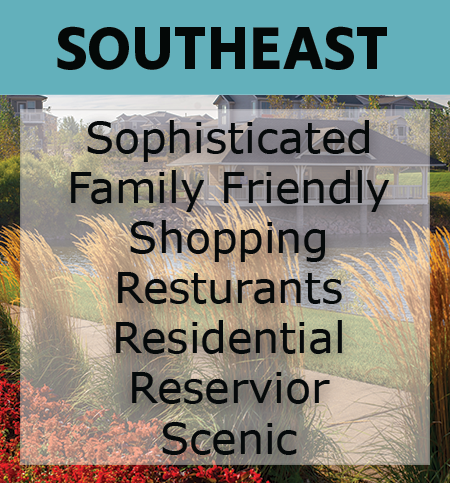 If you're looking for a new home in a sophisticated area of Aurora, then southeast might be just right for you. The mixture of fantastic neighborhood planning and natural beauty form the perfect scenic neighborhoods and beautiful surroundings. Quiet, residential areas with amazing per-house value draw in homebuyers from all over. The allure of nature isn't restricted to the neighborhoods, you can experience more of it across scenic views, miles of trails and parks along with the charm of the Quincy and Aurora Reservoirs. Southeast Aurora also offers many restaurants and shopping opportunities to keep you and your family busy.